Powell came to dread these rocks at the bottom of the Canyon because they were tough and dangerously sharp. Rocky points and edges threatened to impale or slice open any boat or person that was thrown against them by the powerful currents of the Colorado River. And because many of these rocks are so resistant to erosion, they tend to form the rapids and falls that constantly endangered the lives of these pioneers. Now we know that these most ancient of Canyon rocks are Precambrian in age and are immensely thick. By 1938, Powell's original estimated thickness of 800 feet (240 m) had been radically revised and had grown to between 8 and 16 km, although this is probably a considerable overestimate. Nevertheless, the pile is immensely thick and the rocks are very complex in their structure and composition. This is not surprising, since they represent over a billion years of Earth Time and a lot can happen over such a long interval. The Precambrian rocks of the Canyon tell us about the early formation and growth of the North American continent. But we have to remember that none of the continental masses at this time looked anything like they do today and our modern names for them are not really appropriate. Geologists know this 'proto-North America' as Laurentia and it was mostly comprised of the Canadian Shield, Greenland, Scotland and the ancient 'heartland' of America. On to this initial assembly of a few very ancient crustal 'nuclei' or 'islands', a series of progressively younger belts of rocks (or tectonic terrains, as geologists prefer to call them) have been welded by the large-scale geological processes of plate tectonics. The very oldest rocks of Laurentia are not seen in the Canyon but in Labrador and southern Greenland. Other nuclei are in the Lake Superior region and an extended belt from Wyoming north to the Great Slave Province of Arctic Canada and on into northern Greenland. 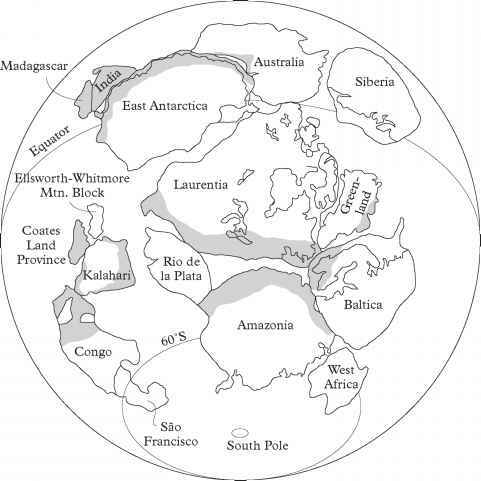 In addition, the amalgamation of Laurentia was part of a more widespread global process, the assembly of the supercontinent of Rodinia around 1.1 billion years ago, to which we will return. The awe inspiring sight of the towering spires and sheer walls of the Colorado gorge reminded John Wesley Powell of cathedral architecture. One possible reconstruction of the arrangement of continental plates making up the super-continent of Rodinia between 1.2 billion and 780 million years ago. The Grenville orogenic belts are shaded grey. For many years, the most ancient rocks on Earth were thought to be the Acasta gneisses from the Great Slave Province of the Canadian Shield, dated at between 4.0 and 3.6 billion years old. These gneisses (an old German mining term) are metamorphic rocks that have been greatly altered by heat and pressure deep within the Earth's crust. They are derived from even older rocks that were part of the early formation of crustal rocks. The largest, best-exposed and most-studied area of early rocks are those of southwest Greenland. They include rocks, dated at around 3.8-3.7 billion years old, that were originally volcanic and sedimentary and deposited within water at the Earth's surface. Even older, with ages of up to 4.4 billion years, are individual mineral grains of zircon found in Western Australia. The 'parent' rocks, in which they were originally formed, were worn away by prolonged surface erosion, leaving the exceedingly tough zircon crystals that have survived to tell the tale by being redeposited in much younger host sedimentary rocks. The more ancient end of this range of mineral dates is getting close to the estimated age of the Earth. From what we know at present of the formation of the Earth, it is unlikely that we will find any minerals much older than this. All these rocks greater than 2.5 billion years old are placed in the Archean Era of Earth Time. By comparison, the oldest rocks of the Canyon, at a mere 1.84-1.71 billion years old, are relative 'youngsters' and are placed in the Proterozoic Era of Earth Time. Some 2 billion years long, this era is further subdivided into three intervals, the Paleo-, Meso- and Neoproterozoic, and the oldest Canyon rocks fall into the late Paleoproterozoic. Geologists interpret these as originally part of a series of volcanic island arc terranes, similar to the volcanic islands of the Indonesian archipelago today. Plate tectonic processes welded these separate terranes on to the ancient, Archean-age, Wyoming island of continental rocks around 1.74-1.65 billion years ago. These processes initially pushed the rocks deep down (some 20-25 km) into the Earth where they were subjected to intense pressure and heated to temperatures of around 700 degrees C. Subsequent erosion stripped off some 10 km of overlying rocks before the main phase of intense deformation, between 1.7 and 1.68 billion years ago, which occurred at depths of 10-15 km. The result of all these cumulative tectonic stresses was to produce a marked vertical layering of these oldest Precambrian rocks in the Canyon. Then, over the following hundreds of millions of years, all the remaining rocks above them were eroded away and they were eventually exposed at the surface. To the non-geologist such a history may well seem unbelievable, but there is very good evidence that vertical movements of these magnitudes have taken place all over the world through various intervals of Earth Time. The critical factors are, of course, active elevation of the crustal rocks, surface erosion and, essentially, time. The interesting problem is what internal mechanism caused the elevation. It is still not entirely clear, but rising plumes of heat from deep within the Earth's interior are the most likely cause. Heated rocks expand and the only direction that such expansion can take is upwards. As we shall see, the cutting of the Canyon itself provides a wonderful example of the remarkable rate at which erosion can occur. It is by accident of geological history that the Grand Canyon cuts across 200 km of spectacular Precambrian rocks that underlie the Colorado plateau. The excavation of the gorge has opened this privileged window into the deepest past. Since Powell first realised the general geological nature of these rocks, a succession of geologists have refined their subdivision and argued over their nature and meaning. The oldest Canyon rocks are gneisses, which were originally intrusive igneous rocks. Dated at 1.84 billion years old, they are the oldest-known rocks in the southwest of the USA. Their contact with younger rocks (1.75-1.73 billion years old) indicates a considerable time gap of 90-100 million years, called an unconformity, between the two. These younger rocks, collectively known as the Granite Gorge Metamorphic Suite, are made up of a wide variety of metamorphosed volcanic and sedimentary rocks, which can be generally categorised as schists. From relict structures within the oldest schists, experts in metamorphic geology have been able to discern the original presence of volcanic rocks such as ash fall deposits, pillow basalts and volcanic breccias in the oldest part of the group. The schists above were originally sedimentary sandstones and mudstones deposited on sloping submarine flanks of volcanic islands. Individual sediment grains have been found within these deposits, which date back to 3.3 billion years ago and were probably derived from the weathering and erosion of Archean rocks to the north in the Wyoming region. The tightly constrained dates of between 1.75 and 1.73 billion years suggest that the whole succession was deposited within 10-20 million years as part of a volcanic island arc system, similar to the strings of volcanic islands that form the Indonesian archipelago, the Antilles and Aleutians today. The metamorphic rocks were 'invaded' by numerous intrusive igneous rocks such as granite, and these date the intrusive events as occurring between 1.84 and 1.35 million years ago. This igneous invasion and formation of the Laurentian continental crust were widespread from California to Wisconsin and clearly are an expression of some profound thermal event that is not yet understood very well. 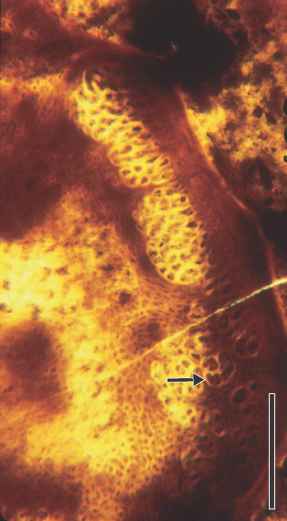 They may well have been connected to the process of assembly of the supercontinent of Rodinia. The nature of the igneous rocks produced at this time does, however, show that the Precambrian rocks were still at depths of around 10 km when they were intruded by these igneous rocks. 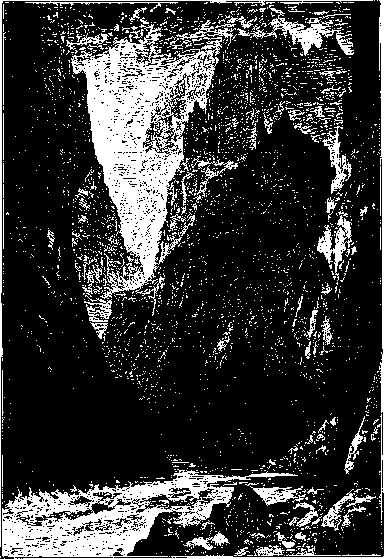 But by 1.25 billion years ago, following this great gap of 100 million years, the vertically aligned schists, gneisses and granites of the Granite Gorge Metamorphic Suite had been sufficiently eroded to reappear at the Earth's surface, ready to receive the next episode in their depositional history. Where can i visit precambrian rock formation?